Rafters come to the Lake Tahoe area for a chance to experience a wide range of river conditions, from white knuckle class 4 rapids, to more mellow class 3 trips. OARS, since 1969, offers the best river rafting, hiking and biking trips throughout the California Sierras and Yosemite Park. Come see our options and locations. Have a fantastic experience with A Whitewater Connection! Plan and reserve for groups of all experience levels! Specials and camping available! River rafting trips! Adventure, fabulous and family-friendly guide crew. fun camping experience, Waiting for you. River rafting and natural beauty everywhere. These expeditions make the outdoor traveler's vacation complete and memorable with experiences! Offering amazing whitewater rafting trips since the 1970's, Mother Lode is one of the most experienced and safest companies in the whitewater industry. 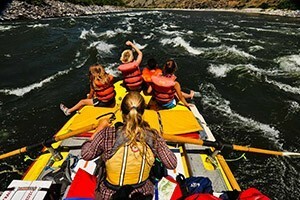 Go whitewater rafting with this highly experienced company (35+ years) on either the nearby American or Yuba Rivers. The Truckee River is the most accessible river from North Lake. The American River provides a range of experiences, from mellow class 3 rapids, to challenging class 4 . To ensure you have a safe and enjoyable trip, hire one of the guide services found on this page. 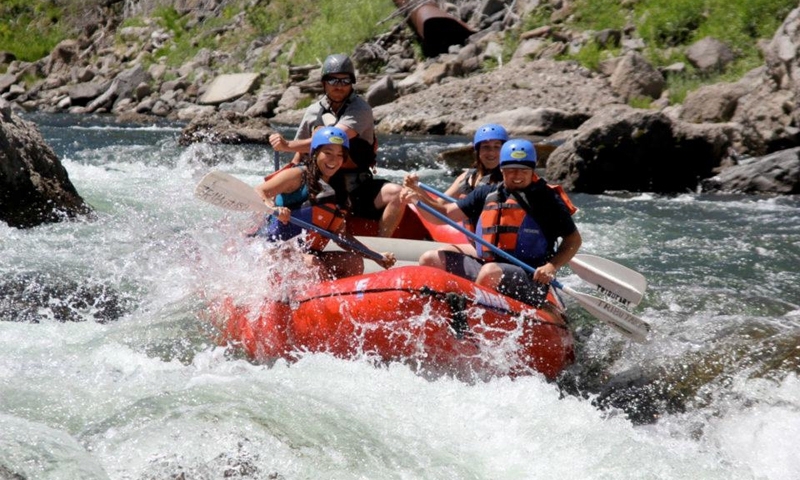 If you’re looking for a high speed activity that the entire family will love, whitewater rafting is your sport. Participants pile onto inflatable rafts and navigate whitewater rapids. The rivers around Tahoe provide a range of experiences from mellow class 3 rapids to challenging class 4 . If you’re looking for rafting in close proximity to Tahoe, this is your river. The Truckee River boasts many class 2 and 3 rapids, as well some in the 3 range. Most trips take about half a day. This is a great one for families to experience together. The American River provides challenges to suit all ages and ability levels. Families and beginners head to the South Fork for mellow half or full day trips. Those looking for a bit more adventure can tackle the Middle Fork home to the infamous "rock chute", while experienced rafters looking for a real challenge can attempt the river's North Fork. Depending on your trip, you can expect to drive approximately 1 – 2 hours to reach your put-in. Located approximately an hour from South Lake, the East Fork of the Carson River treats rafters to moderate class 3 rapids. Depending on your outfitter, trips can take anywhere from a half day to two days. This river is another great options for families to experience together.